EWR NJ Limo is one of the most reliable companies offering luxury party bus service for your graduation, wedding or birthday celebration in NJ. 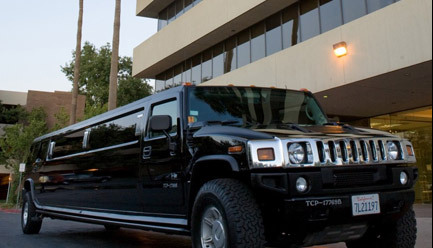 We have many interesting party bus rental options. Our party buses and coaches can be hired in New Jersey and neighboring areas for partying and dancing together with music and lights. Each of our party buses includes all the luxuries that can add value to your party transportation in and around NJ. We have an amazing fleet of limos and party buses that offer some of the party essentials starting from the coolers and dance floor to the bar, lighting and music system. Our staff focuses on to maintain the vehicles in perfect condition and make sure you find them clean and all of their features to be functioning properly. We are dedicated to offer the best priced party bus service to our clients for their complete satisfaction in NJ. While celebrating any special event or casual night out in New Jersey, you may like to indulge in various entertainment activities and visit different places. There's no other effective mean to have all these things than hiring a luxury party bus from EWR NJ Limo! You can travel along with your group to anywhere in NJ in style and with the privilege of privacy as most of our vehicles have specially coated glass windows. Our party buses make an ideal choice for every special event – including a lot of features and facilities that will suit the party spirit or occasion. The comfortable seating, custom party lightings and dance poles, bars, and great sound system and flat screen TVs featuring in all of our party buses can add to your excitement and fun. Get ready to enjoy high sound party music and champagne toast in one of our limousines or party buses on a special occasion, or dance wildly to the tune of music playing in the background and lighting done like a dance club. And with our vehicles ready to accommodate both small and large groups, you can experience the best in class transportation with any number of guests. If you want to celebrate your dream party in NJ, contact us for party bus service today!